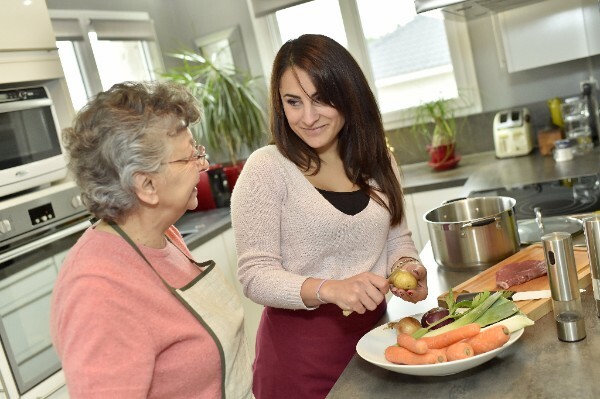 Preparing meals in the kitchen may be among your most favorite memories with your aging parents. However, as parents age, their activity in the kitchen can cause anxiety. There are many risks involved with cooking in the kitchen for anyone. Those risks can be among the top concerns adult children have for their aging parents. What is Included in Laura Lynn’s Cooking Service? At Laura Lynn’s we take the anxiety you may be feeling when your parents are cooking and replace it with the capable hands of one of our home care aides. Not only will they prepare full meals, but snacks and refreshments are always encouraged. Your loved ones can rest knowing that they will receive a meal that is carefully prepared according to their diet and medical needs. You can also expect our aides to go a step further and perform any grocery shopping as well as cleanup of meals afterward. It truly is a full service that we take pride in providing your loved ones. If you have a loved one or know someone who may need our cooking services, please schedule a consultation today by calling 405-418-2961. Our qualified staff is standing by ready to help. To learn more about our Cooking service, please click HERE.